Digital billboards may soon become the latest way to market books. 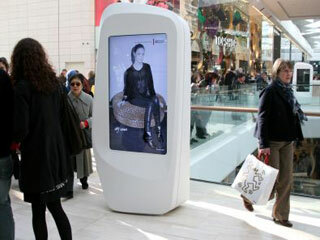 They are essentially like large TV screens that can be programmed to rotate video ads according to schedule. Advertisers are generally billed based on the impressions they are likely to garner in a particular location. They have been around for a number of years and have been shown to have more impact than their static, print based cousins. So it is only natural that publishers are starting to experiment with this new advertising venue. According to the Southern Review of Books, from March 3 to 31, a trailer promoting the novel by Thomas Fitzsimmons entitled City of Fire (Forge Books) was shown on digital billboards operated by Adspace Networks in 105 malls in New York, Chicago, San Francisco, Houston and 35 other cities. Each mall has between four and 29 screens, for a total of 1,389, and the trailer runs a dozen times per hour on every screen. Mall advertising lets publishers bring their message in the form of a live action 15-second video right where people are and ready to spend. City of Fire is the story of Michael Beckett, a veteran cop in the Bronx, N.Y., who seeks to apprehend the person responsible for a string of arson fires. Fitzsimmons’ thriller is a mass market original. Forge is working with bookstores located in the participating malls to promote City of Fire, which went on sale March 3 with front-of-store visibility and floor display placements. However, publishers may not want to be selective about putting book trailers on digital billboards. 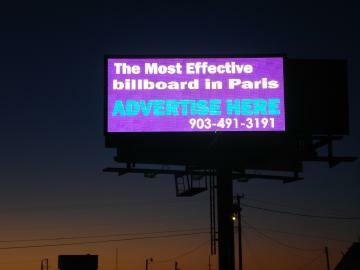 Outdoor billboards have been shown to be highly effective at capturing the attention of drivers. So effective in fact that a number of communities – e.g. Los Angeles – are now weighing ordinances to ban digital billboards because they represent a threat to highway safety. Indoors, however, they could represent a whole new way to spur readers to purchase popular titles. The jury is still out on how this will affect the overall sales of Fitzsimmons’ book; so far, he says on a post on an Amazon community, his retail sales are good. But in the future, digital billboards, like transit based video, could provide extra joice for book sales. As digital billboards and signs replace their non-digital counterparts, it opens up an unlimited marketing venue for book trailers which comes with a ready made set of well understood consumer demographics. This entry was posted in Book videos, open publishing, publishing networks, readership strategies and tagged book trailer, digital billboard, Forge Books, Thomas Fitzsimmons. Bookmark the permalink.